Kush is one of the most-famous Cannabis strains, and our Special Kush is a heavy-yielding Indica variety that is ideal for indoor or outdoor gardens. The plant has an historic lineage, and it traces its roots to the verdant Hindu Kush Mountains in India and Afghanistan. We've decided to bring our clients feminized Cannabis seeds that are ideal for growers who are looking to harvest connoisseur-quality marijuana in the comforts of their own garden. The plant is designed for all the cannabis growers who are looking for the best weed on the planet. Our Special Kush likes to grow incredibly fast, just like it was meant to do in the great outdoors. While our Special Kush is perfect for outdoor marijuana gardens, it also works great in today's indoor settings. The plant grows incredibly fast, and it can produce finished buds in as little as six to eight weeks. Ideally suited to beginners and experts, our Special Kush is perfect for any type of indoor setup. Because the strain can quickly fill up an indoor marijuana tent, growers may want to change the lighting schedule back to 12 hours of darkness when the plants are still small. We've also engineered our Special Kush to produce outstanding yields, and indoor gardeners can easily crop out more than 400 grams per square meter, when grown with a 600-watt high-intensity discharge light. Individual plants have yields that are up to 150 grams per specimen. Because we like to provide our customers with affordable seeds, our Special Kush is perfect for those who are shopping on a budget but still want outstanding-quality marijuana. Outdoor marijuana growers can also benefit from the features of our Special Kush, and the plant prefers a warm environment, like that found in North Africa, Spain, or Italy. With ample amounts of sunshine and the proper amounts of nutrients, the our Special Kush easily grows into a large tree that can provide yields of more than one pound per plant. The tight nuggets are frosted with trichome crystals, and the buds glisten when harvest is approaching in the beginning to the end of September. The smoke from our Special Kush is rewarding, and the high is perfect for those who want to relax after a long day of tending the garden. The finished product has a hash-like taste that is of the highest quality. Kush is also one of the favorites of today's artists, and there are innumerable songs that have been written about the plant. Our Special Kush is perfect for beginning growers, and it copes well with temperature fluctuations. While the Cannabis strain will perform well in any type of setting, it prefers temperatures that are in the low 80-degree range. The smoke and finished buds have a floral smell, and the taste is reminiscent of bubble gum. 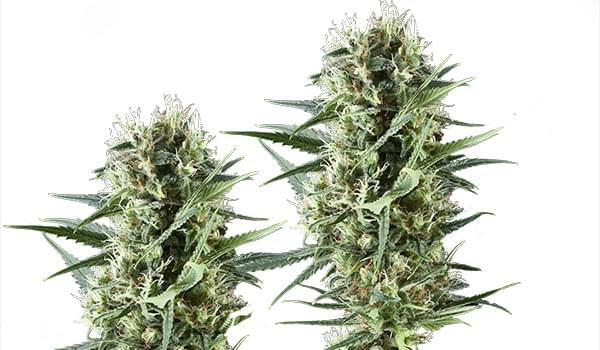 If you're looking for an outstanding specimen that is perfect for your marijuana garden, our Special Kush comes with a low price, and because the seeds are feminized, you'll get an outstanding yield of excellent marijuana flowers on every plant.